Fountains combine sight, sound and motion to produce the desired aesthetics within your budgetary guidelines. We can create a peaceful atmosphere to blend tranquility into your project or an elaborately kinetic system to boldly complement design. Our experienced design staff works closely with the architect, developer or contractor to provide complete mechanical, electrical and creative design assistance. We design your fountain. The pool size, spray height and actual location should be taken into consideration at the commencement of the fountain design process. Under normal wind conditions, the water spray height should not exceed the distance from the jet to the nearest edge of the pool. A maximum pool depth of 18″ is standard in the industry and is recommended whenever possible based on safety and practicability. It is generally recommended that darker colors be utilized within the pool basin. Black has proven to work most effectively as it accentuates the appearance of depth. The use of lighter colors is not recommended, as they generally create a dirty appearance to the water. The texture of the materials used in the fountain’s structure is an important consideration in achieving the desired water effect. As a rule of thumb, rough, irregular surfaces generally increase sound, visibility and water motion; smooth surfaces provide softer, more tranquil effects. 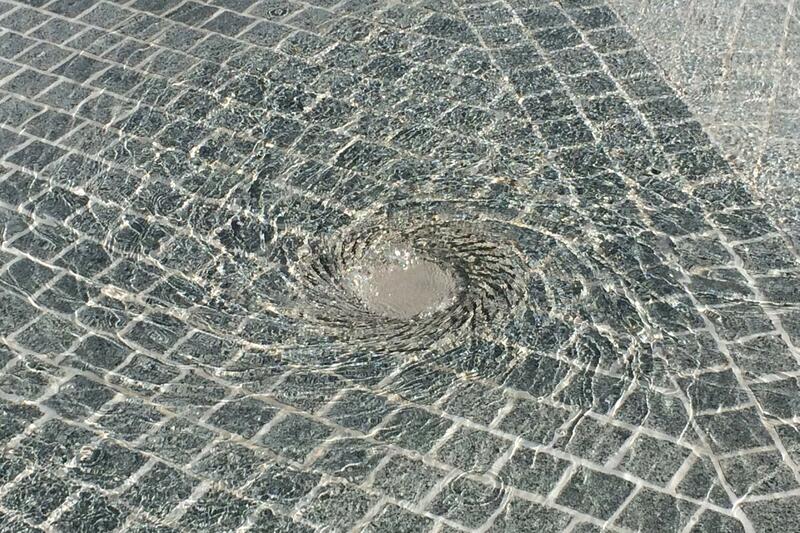 Similarly, the sound level of the fountain can also be controlled by varying design. Heavy, massive water features (e.g., cascade nozzles, aerated waterfalls) create greater sound volumes, whereas fine streamed nozzles create softer sound volumes. Often, greater sound is desired when a project is designed to attract attention or draw people to a particular area. More subtle sound is frequently used to downplay unwanted background noise in indoor environments. Every successful fountain design must include proper selection of fountain nozzles, lights, pumps, motors, and support equipment. Our design staff will assist in the selection and combination of patterns and components to create your desired aesthetic result. 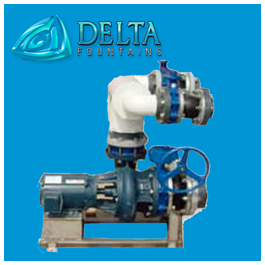 Delta Fountains is committed to quality and only the finest equipment and components are used. All equipment manufactured by Delta Fountains is fabricated by expert craftsmen under stringent quality control procedures. All Delta Fountains’ pool components are high-quality, heavy-duty products designed to provide reliable service. Water effects are determined by which type of fountain nozzle you select. Delta Fountains offers several variations and materials for each of our nozzles. Our most popular nozzle choices are geyser nozzles, aerating foam jet nozzles, clear stream smooth bore nozzles and ground effect nozzles. Selection of appropriate pump equipment is a vital design consideration. The pumping system distributes and recirculates the water to create the desired water effect. Submersible pumps are best used in small pools or applications providing no room for a pump pit, but the dry type pump is the most versatile and widely used. Voltages and types of power available must be considered before selecting pumps and motors. Single phase motors are available up to 15 horsepower and three phase dry motors are available in almost any horsepower. Pump pits should be located to allow for the pipe runs to be as direct as possible using the least number of fittings. 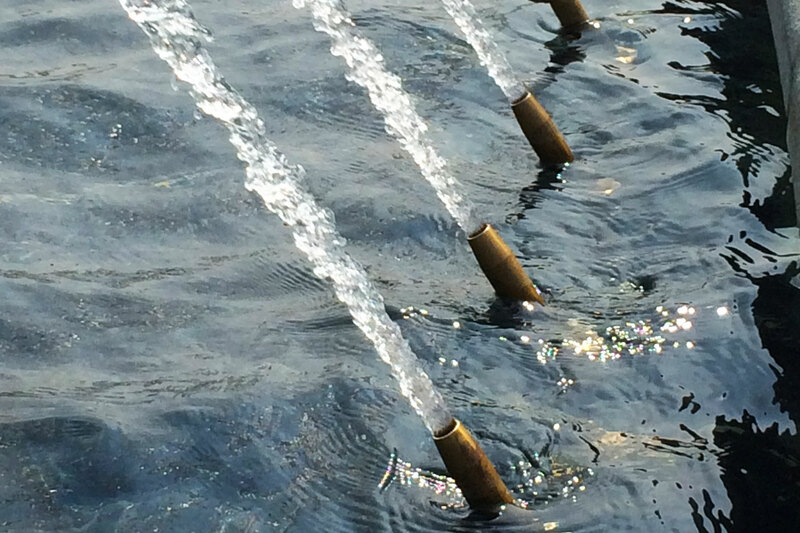 Proper selection of support equipment such as filters, drains, controls and other related items are necessary to allow for a successful fountain design. 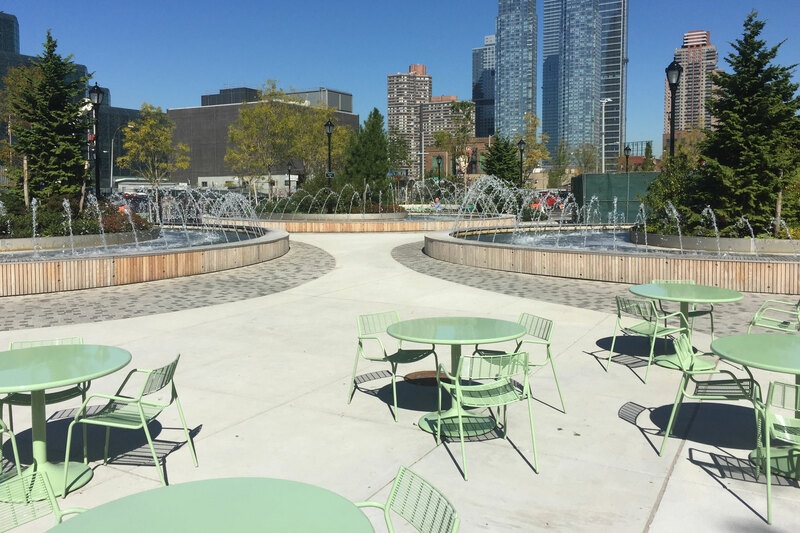 The specific components required for a particular fountain depend on the application size, water effects, and user interface preferences.